With its history of various timepieces made for the outdoor life, Suunto watches are a combination of attractive designs and heavy duty features. Suunto watches came from a heritage of compass watches of different specifications that were built for different outdoor activities, both extreme and not-so-extreme. Aside from robust watches, Suunto also has a wide array of lifestyle watches that has a very chill vibe—now these ones are for me. If you’re eager to lay your hands on your very first Suunto watch, below are some of their top-notch timepieces. Your next best Suunto watch is waiting for you. This watch makes a convenient companion when you want to go biking, hiking, or running. This excellent timepiece ticks all the right boxes with its exquisite quality and built-in features. It has an excellent GPS navigation that’s perfectly suitable for people having a very active lifestyle. If you’re wondering what the finest Suunto watch looks like, look for the Traverse Alpha. The Traverse Alpha will leave you in awe with its top-notch features with the best price. With its rugged stainless steel bezel and scratch-resistant crystal glass exterior, you’ll be taking this watch anywhere without trouble. You can even receive incoming calls and notifications from your smartphone given that you synced it with its Bluetooth connectivity. It also has a sunrise alert, weather alert system, and moon phase calendar. I really can’t sense convenience more than what this watch offers. 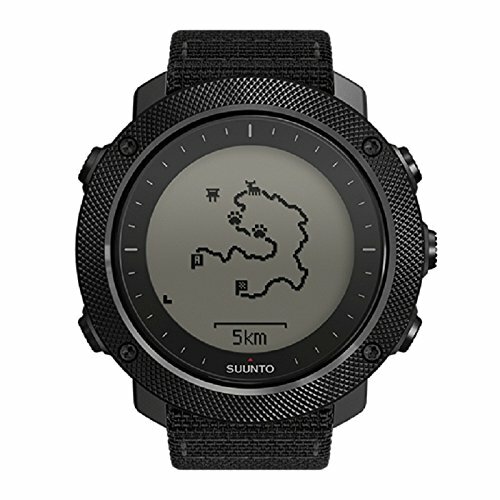 Suunto is very generous when it comes to giving you the best timepiece, and Traverse Alpha justifies it with its GPS and GLONASS technology. This feature allows you to know the exact positioning and map coordinates of the paths you’ve conquered. This way, if you want to head back to your starting point, or you just want to go back, its re-tracing feature has you covered. 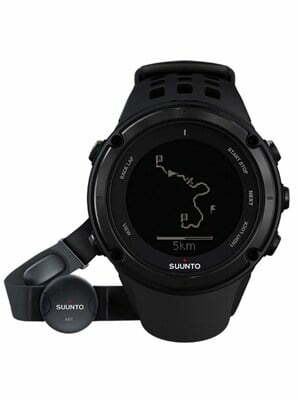 Popular for its GPS feature, the Ambit3 collection from Suunto has numerous watches to choose from. 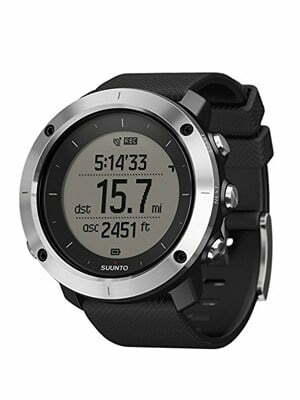 However, the most excellent Suunto watch from this collection is the Ambit3 Peak HR. Its excellent features will let you know why. Aside from the previously-mentioned GPS functionality, this watch also has an altimeter, barometer, and a compass, which makes it perfect for outdoor activities. Its battery life depends on your GPS setting. Just like the Traverse Alpha, you can sync it to your smartphone so you can remotely see your notifications and calls on your watch through its Bluetooth and Wi-Fi features. Its most notable feature is Movescount app. You’re probably wondering what it is. Well, the Movescount app lets you take photos with your current speed and distance. Tracking your fitness activities is so easy with this app. And if you have enough photos already, you can create a movie or a short video. Then, you can share it with your online friends or any of your social media account, because why not? 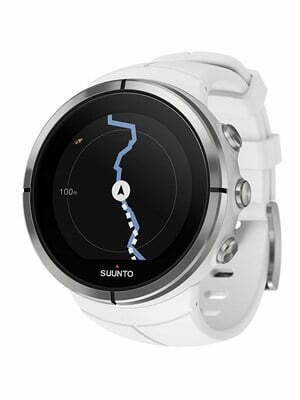 If you can’t get enough of Suunto watches and their GPS feature, here’s another one. The Sport HR is one of the Ambit3 collection and it’s designed more for the fitness lovers. 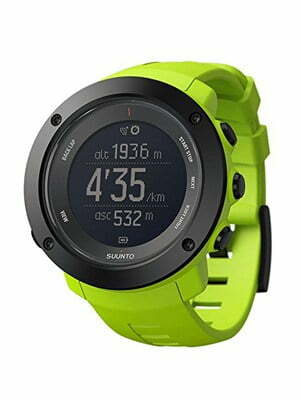 Living up to the Ambit3 watches’ fame, the Sport HR has an excellent GPS navigation that’s perfectly suitable for people having a very active lifestyle. Belonging to this feature is the speed and heart rate, and distance tracker. Its battery life will depend on how you use its GPS. With a minute accuracy, the battery life can expand up to 100 hours. Keeping track of your smartphone is also very easy because you can sync the watch with it. If you plan to use the Sport HR for swimming, it’s got a handy feature that lets you monitor your heart rate with its Suunto Smart sensor. Paired with the Movescount app, your workouts and training have never been this great. This app helps you plan your workouts and have a voice guidance during your exercises. Evidently, before Ambit3 came to life, there was Ambit2. While you may think that these watches have already outshined by its successor, the Ambit2 GPS still stands strong and is a highly-competent watch. This watch makes a convenient companion when you want to go biking, hiking, or running. This is a perfect choice for athletes, too. Adding to its features is its speed, heart rate, and distance monitor. Ambit2 GPS also gives access to excellent features like sunrise and sunset times, storm alerts, tidal information, and barometric pressure. When you want to transfer data, the Ambit2 has a cool feature that lets you do this using its included USB cable, or you can do it wirelessly with devices that support ANT or ANT+. Moreover, this watch comes in different colors like black, silver, and sapphire. As its name gives out, Traverse GPS comes with GPS and GLONASS technology. You can freely explore new areas and terrains and upload routes. The best part is that you can track your pathways and altitude figures and trace back your directions with the breadcrumb trail. The major drawback of the Traverse GPS is that it can go live for only around eight hours in GPS mode. But, fret not as Traverse GPS is packed with other functionalities that will make up for this drawback. The Traverse GPS is more than just its GPS feature as its Bluetooth connectivity lets you stay updated with your phone when you sync it. It also has features like storm alerts, weather changes, and sunrise and sunset times. All thanks to its built-in barometer! Another one from the Ambit3 collection is the Ambit3 Vertical HR Running watch. 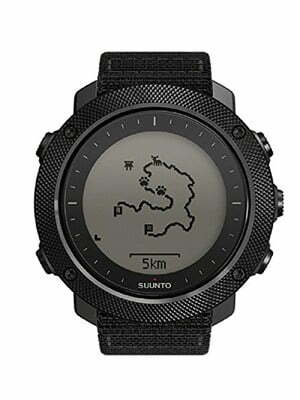 What would the top Suunto watch be without its GPS technology? This feature just makes outdoor activities such a breeze, especially its breadcrumb trail feature. Its battery life can last as long as 100 hours with one-minute accuracy. With its Bluetooth connectivity, you can view your phone’s calls and notifications. The Suunto Movescount app just makes everything a lot better than they already are. With this app, you can create routes with its topographic maps and altitude data. In addition, you can monitor your climbing progress with its hill incline feature. 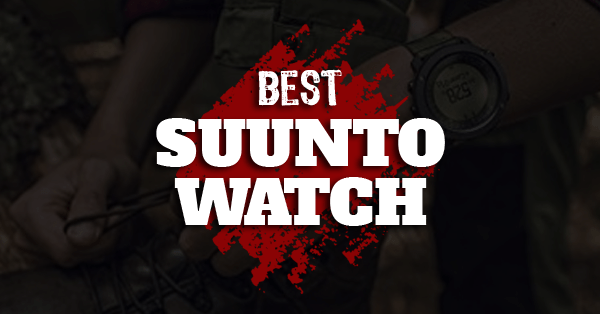 Last to join the hunt for the best Suunto watch is the Spartan Ultra HR. Its advanced technology and software are the reason why this watch might be your next watch. Its GPS and GLONASS technology won’t let you down with its very accurate navigation and digital compass that will guide you in your adventures every step of the way. Its battery can last up to 15 days in daytime mode. Its Bluetooth connectivity also connects to any compatible device. The best thing about this is that it’s equipped with 80 sports modes. It is known to assist you in almost every activity you can think of. I don’t know about you, but I want to test them all out! 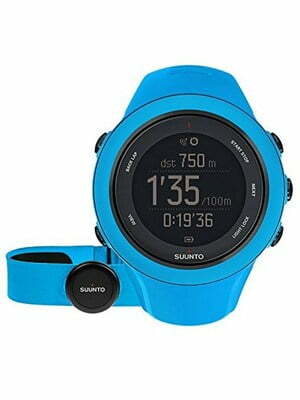 It’s not enough to buy any Suunto watch, you need to make sure you get the most decent Suunto watch there is. To accomplish this successfully, you need to look at these factors first. A GPS feature on any watch makes it one step higher to its competitors. This technology allows you to enjoy features like speed, heart rate, distance, and cadence trackers. These functions will assist you in your outdoor activities. You’ll know if a watch is top-notch if it’s paired with GLONASS technology. This makes everything more accurate and faster with its satellite signaling. But of course, what would a watch be without a very good battery life? Especially with a GPS technology at hand, battery life will be a concern. You want to have an adequate battery life to stand with you through your adventures, otherwise, you’ll constantly have to charge it time and again which will only ruin your experience. To add to the overall convenience of a Suunto watch, Bluetooth connectivity allows you to sync your watch your smartphone. This lets you see your notifications and incoming calls remotely. Who needs a smartwatch when you have Bluetooth connectivity? 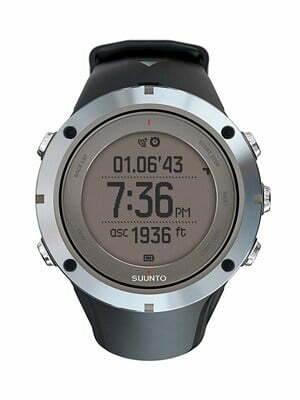 Aside from the abovementioned features, there are a lot more functionalities to Suunto watches depending on each model. Examples of these are sunrise and sunset times, weather updater, and even pre-installed modes that can be essential to your workout and training activities. Getting your hands on the perfect Suunto watch for you might give you uncalled dilemma, but it will definitely be worth it in the end. Suunto watches are known to give only the best and outstanding timepieces, so whichever model you decide to purchase will surely be a good investment.